Why do car accidents happen? There are two very general, very broad causation categories. The first one – and the one that leads to the vast majority of crashes – is something experts call “driver error.” Obviously, driver error can mean any number of things, so that too is divided into categories. Do you know what the biggest driver error category is by far? Distraction. In other words, accidents that happen because drivers are trying to multitask. Now, we’ve all done this when behind the wheel at one time or another. But it’s important that we start to recognize how dangerous this kind of behavior can be. Hundreds of thousands of people are injured every year in automobile accidents involving distracted drivers, and the numbers continue to rise. In our state alone, an accident is believed to occur about every 1.25 minutes as a result of distracted driving. It needs to stop, and all of us need to work to curb the epidemic. But in order to do that, we have to understand how exactly we’re being distracted. What causes these distractions? Anything and everything from eating to spilling to (no joke) trying to read a book. Talking and texting. People who use their cell phones to talk or text while driving are by far the most common reason for distracted driving accidents. In fact, the National Safety Council estimates that 26% of all car crashes involve cell phones. GPS. We’ve become dependent on GPS to get us from point A to point B while driving. For many, using it doesn’t even seem like a choice anymore – it’s just what you do. But setting up a GPS route while driving is just as dangerous as texting. And even simply taking your attention from the road to glance down at the directions can lead to disaster. If you are going to use GPS, make sure it is mounted where you can easily see it… then turn up the volume anyway so that you can listen to the directions instead of having to constantly look at the screen. Adjusting music or controls. Maybe you’re dying and you need to adjust the temperature. Or your child is yelling at you from the back seat to put on his music. Or the radio is just too darn loud. It may seem like a small thing to push a button or two, but it divides your attention – especially if you have to look away to do it. Small or not, it can be the difference between getting in an accident and having a smooth trip. Applying makeup. Or grooming in general. Sometimes you just don’t have time to look your best before you have to jump in the car. Unfortunately, many people seem to have decided that driving provides an opportunity to put on those finishing touches such as adding lipstick, combing their hair, or even using deodorant. Not surprisingly, these activities – which take your hands off the wheel and your eyes off the road – can easily lead to accidents. Talking to passengers. If you have someone riding with you in the car, it’s only natural to talk to them. In fact, you probably feel kind of rude if you don’t. But you always have to remember that the paying attention to the road comes first. Turning to look at a passenger may feel like the right thing to do in the conversation, but it’s one of the worst things you can do while driving. Not looking at the road. Lots of other causes tend to involve this particular action, but it’s worth looking at it by itself as well, because there are a number of different reasons why someone might take their eyes off the road. Perhaps you’re lost and looking for a landmark or address. Or there’s an accident on the side of the road and you want to know what’s going on. Maybe a gorgeous rainbow appears after a thundershower and you gawk at it. None of these seem like obvious dangerous acts, but all of them make an accident more likely. Handling children or pets. It’s not safe – for you or them – to drive with your pet loose in the vehicle, but that doesn’t stop quite a few people from doing it. Sadly, when pets move around your car or sit in your lap, they become distractions. And as all parents know, having children in a car can be at least as bad. They yell to get your attention. They complain that they need things. They fight. It’s all too easy to have your attention pulled from the road. Zoning out. Have you ever daydreamed on a long commute or while driving a familiar route? It’s pretty common. You might have even been slightly surprised to find yourself pulling into your destination, not really remembering the specific actions you took to get there. Was the route busy? Did you hit red lights? You weren’t really paying attention. Driving on “autopilot” happens too much, and it can be dangerous. 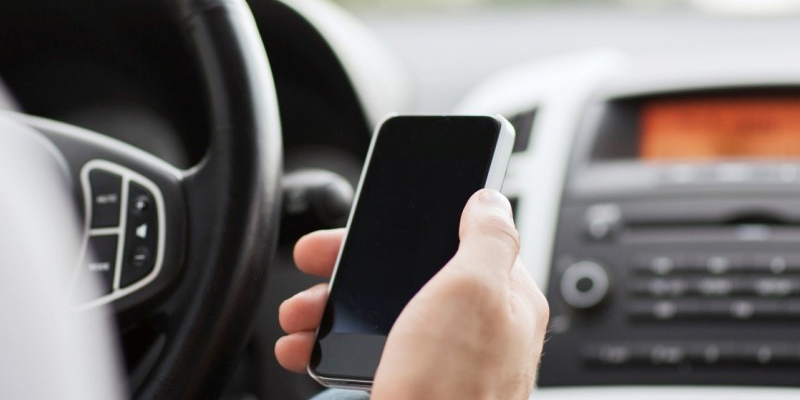 What to do if someone’s distracted driving causes you injury? So what should you do if you’ve been injured by someone who was driving distracted? The most important thing to remember when you’re injured in an accident is that you should report it to the police, seek medical care (and keep track of expenses), and get contact information from witnesses if you can. Then reach out to a knowledgeable personal injury attorney. Do this as soon as possible, because it is very important to speak with your chosen injury lawyer before beginning the insurance settlement process. Together, you can make sure that you receive the fair and just compensation you deserve.